Party perfect, this chic, sleek and popping-palette piece embraces fearless and fashionable fun. Fusing a playful print with a feminine sculpted silhouette, this Moschino masterpiece entwines this season’s hottest hues. Bursting with a creative colourway of bold prints, pastel patterns, candy colours and soft marshmallow tones, let your ornate outfit do the talking and keep accessories to a minimum. Style this sassy statement with sophisticated stilettos and keep jewellery subtly simple, whilst this figure flattering and fashion forward frock promises to be an eye-magnet marvel. Splashed with sass and class, find this sleeveless, stunning and super striking staple at Robinsons NOW! 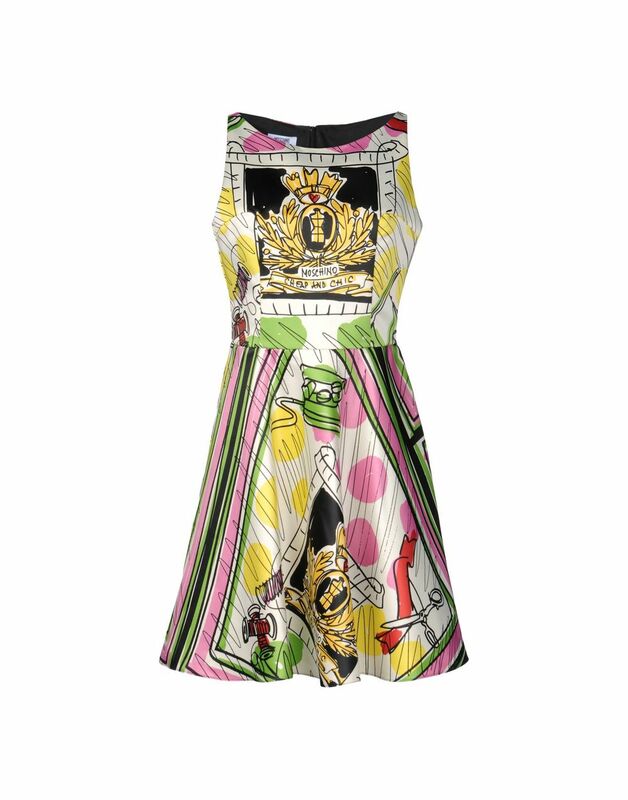 Bold, beautiful and tailored with a luxe texture, don clashing colours and painterly prints with Moschino’s feel good fashion and you’ll indefinitely be crowned as the queen of quirk!